We, at Grover Zampa Vineyards, believe that a wine should bring out the most faithful expression of its grape varietal and terroir. The respect of the soil and the climate where the vines are grown makes the excellence of the production. To reach this high quality, the essence of grapes is captured carefully through international techniques and practices reliably brought to India. We make wines which express their terroir. That is why we looked for the perfect combination of a unique climate and soil, for several years before starting the process. Our respect for the vineyards’ unique territory guides all aspects of Grover Zampa Vineyards production: “Less is more” helps us to maintain a high level of quality. We keep the quality high by limiting yields to bring out the complex aromas and delicate flavours of our grapes. Grapes are hand-harvested, and meticulous grape selection on sorting tables also helps us maintain a high level of quality. And to follow the path to quality until the wine finally bottled, we pay attention to every details from Vineyards to Winery. 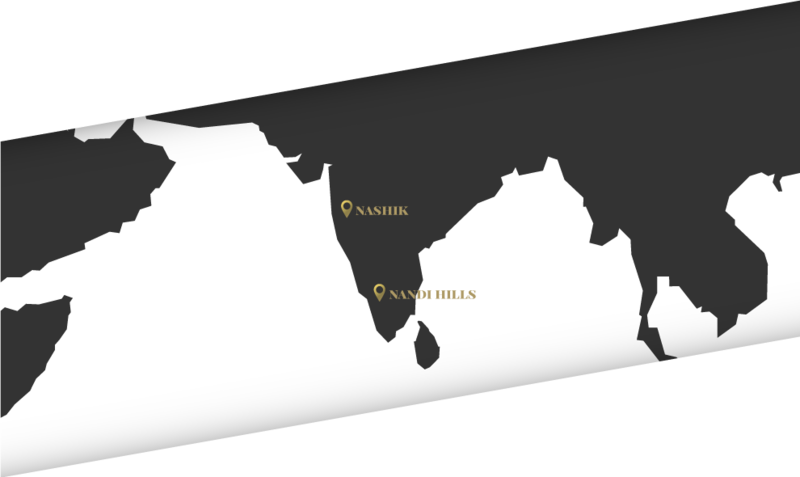 Our dual locations – Nandi Hills in Karnataka and Nashik Valley in Maharashtra, allow us to extract from the best grapes in India. Natural protection of Nandi Hills and terraced slopes of Nashik offer fresh climate, fertile soil and perfect conditions for vine growing.